Updated: Version 8 is now compatible with the 1.47.49 (November 13, 2018) game patch. Previous versions of the mod are no longer supported and will be removed. Be sure to remove the old mod if you update! 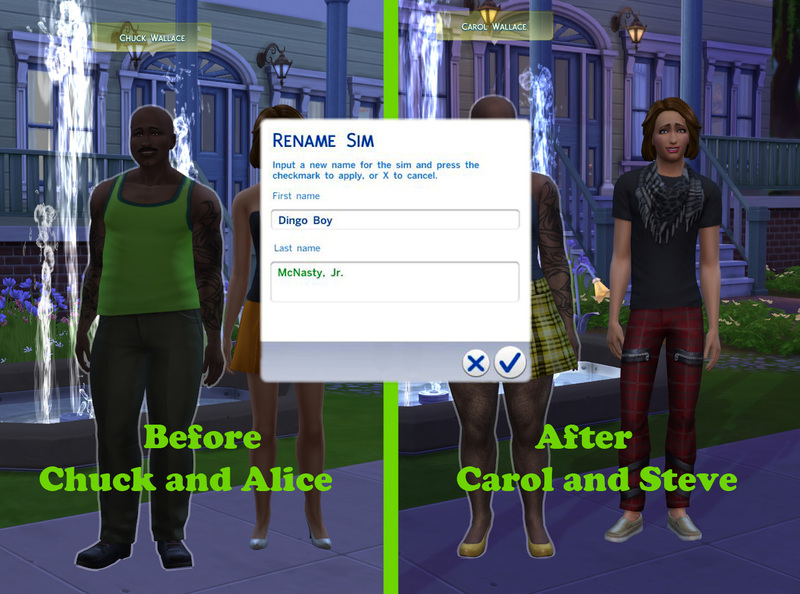 A script mod to add three commands to your game, one to change a sim's name and the others to change genders. This can also be accomplished by the cas.fulleditmode cheat; however, this accomplishes the change more easily, automatically and allows longer names to be entered (up to 30 characters for both first and last names (version 7a extends this to 100 per name)). The commands default to the selected sim, or you can name another sim to apply the changes to a townie or sim in another household. Simply extract the file contained in the downloaded zip file into your mods folder. This file should be called "MTS_Scumbumbo_ChangeSimNameOrGender_v8.ts4script"
As this is a script, script mods must be enabled in your game options for the mod to function! The file can be placed in a subfolder, however it can only be placed ONE subfolder deep. The mod should be compatible with versions of the game since 1.47.49 (November 13, 2018). Compatibility with older versions of the game is not supported. As these are new commands, it should not interefere with any other script mods. The script sources are included in the .ts4script file and may be extracted or viewed using a zip file extractor. After changing a name, it may not appear to be updated everywhere on the screen until the game is reloaded or you switch households. Simply going to Manage Worlds and reselecting the same househould should suffice. However, this is an entirely cosmetic issue and is not required. A first or last name can exceed the 14 letters allowed by the game; however, if the sim is later edited in the CAS screen, it will flag the name and it will have to be changed in order to accept the changes in CAS. You can just use the rename command again to fix it back up. Changing sim's last names will not change the name of their household. 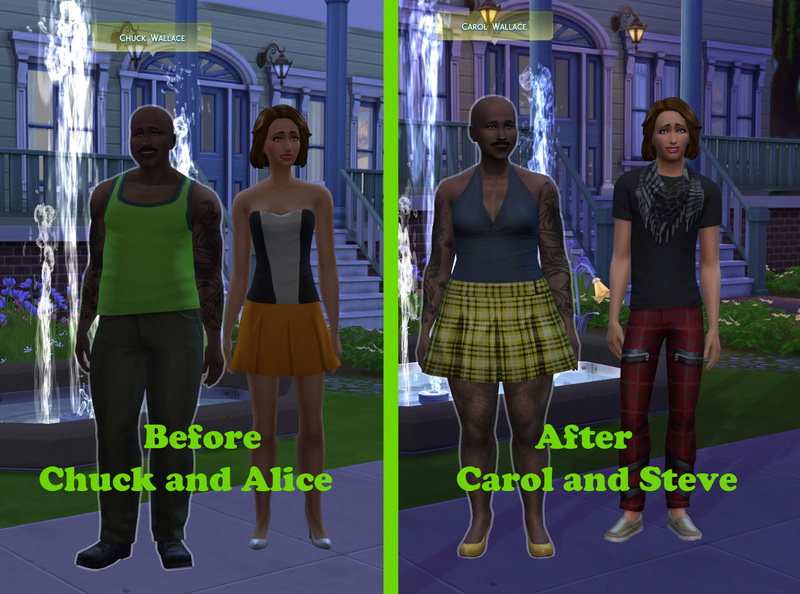 When using swapgender, if a Sim has multiple outfits, only the first outfit of each set will be changed automatically. 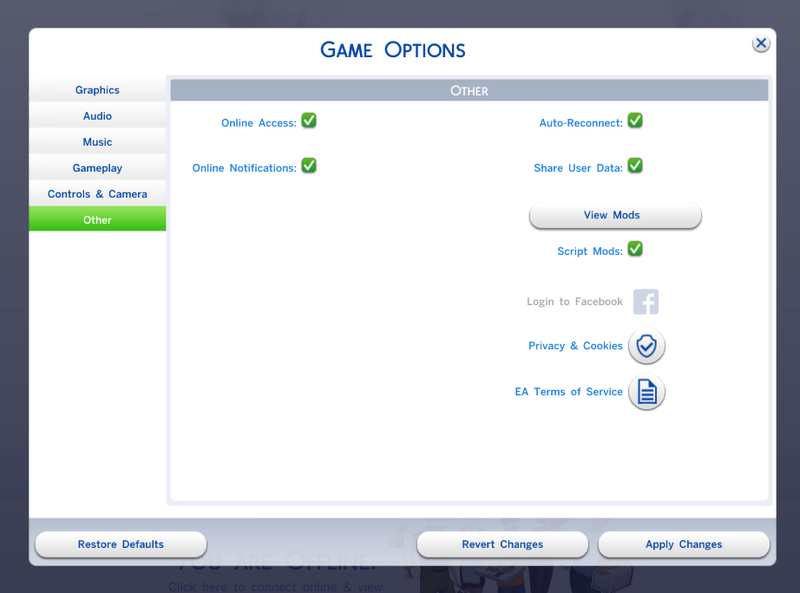 When using swapgender, Sim's which are set with pregnancy preferences of "Neither" will not have that setting changed. When changing genders using either command, certain aspects of the apperance change will not take effect until clothing is changed. Thanks to Deaderpool for providing some user interface code which enabled me to update the dialog entry methods for v7. Install version 3 (or newer) if you have the pools update (Nov 4, 2014). Do not install both versions.